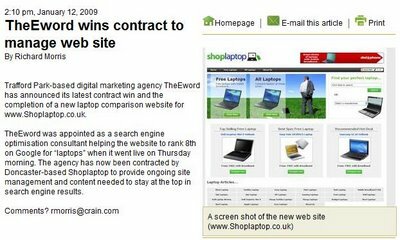 Crain’s Manchester Business have picked up on our recent acquisition of the contract to provide marketing and content for ShopLaptop.co.uk. A piece on their website highlights our SEO consultancy, which resulted in ShopLaptop going live with a Google search ranking of 8 on its top keyword ‘laptops’. It also states how we’ve been tasked with keeping the site riding high in SERPs (Search Engine Results Pages) by providing ongoing SEO and PPC management. News of our latest contract win has also been featured in North West media bible How-Do. We’re pleased that our hands-on approach to online marketing is gaining praise. theEword is not like any other SEO agency. Unlike some, we don’t slink off with our fee after the initial consultancy. Working with theEword is more like a partnership; guaranteeing access to the best SEO, PCC, content and design expertise. 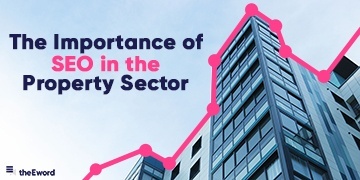 We help you grow by working alongside you to enhance your business. 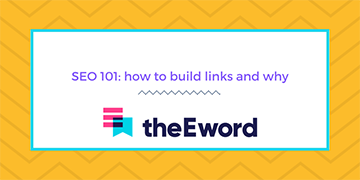 Interested in theEword SEO, PPC, design or content? Get in touch.